Book Review Silent Histories By Kazuma Obara Reviewed by Adam Bell Win or lose, too often civilian survivors and casualties of war are either used to spur military action or pushed aside as reminders of a difficult time that we’d rather forget. In Japan, the civilian injuries and deaths during World War II conjured memories of a war lost, atrocities committed in the pursuit of victory, and the terrible devastation wrought on Japan by the United States. EDITORIAL RM, Mexico City, Mexico, 2016. In English and Japanese. 217 pp., 162 color illustrations, 7x10". Win or lose, too often civilian survivors and casualties of war are either used to spur military action or pushed aside as reminders of a difficult time that we’d rather forget. In Japan, the civilian injuries and deaths during World War II conjured memories of a war lost, atrocities committed in the pursuit of victory, and the terrible devastation wrought on Japan by the United States. After the horrors of Hiroshima and Nagasaki, Japan forged ahead, rebuilt, and created a thriving economy. 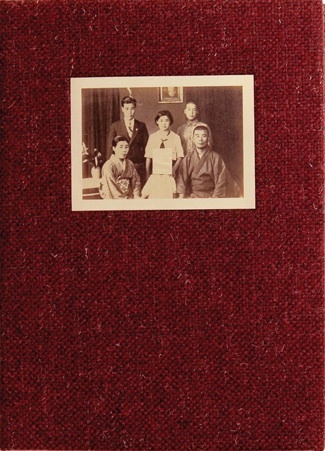 Pairing historical documents, personal materials, and photographs, Kazuma Obara’s Silent Histories looks at the lives of several children who were hurt during the war, suffered great loss, and grew up hiding their injuries from a society that just wanted to forget and move on. Now adults, their life-long struggles are reminders of a past that is painfully present for many and a rebuke to a society that refused, or did not know how, to help them. Silent Histories. By Kazuma Obara. EDITORIAL RM, 2016. Silent Histories profiles seven individuals who each suffered a grievous loss or injury. While many were given disability cards and small payments by the government, the wounds ran deep and never healed and each learned to cope in their own way, which often involved hiding their pain and disfigurement. While much of the book addresses the horrific consequences of the United States bombing — photographs of which are interspersed throughout — it is also a scathing indictment of a society that looked away and a call to recognize the deeper psychological and physical scars of war. In this sense, Silent Histories joins a rich tradition of books that have addressed the tragedy and aftermath of WWII, but takes a different turn. Unlike the more metaphoric and stylized work of Kikuji Kawada, whose masterpiece The Map set the standard for work addressing the traumatic aftermath of WWII, Obara all but disappears and allows his subjects to speak. Originally self-published in 2014 in a limited edition, the new edition of Silent Histories retains much of the sumptuous qualities of the hand-made original. Whereas most elaborately self-published books are greatly modified to accommodate the enormous costs of printing, it appears little has been sacrificed in this new edition. While perhaps a bit precious, there is no denying the beauty of the book’s design and carefully attention to detail. Fortunately, this new trade edition will allow the book to reach the wider audience it deserves.